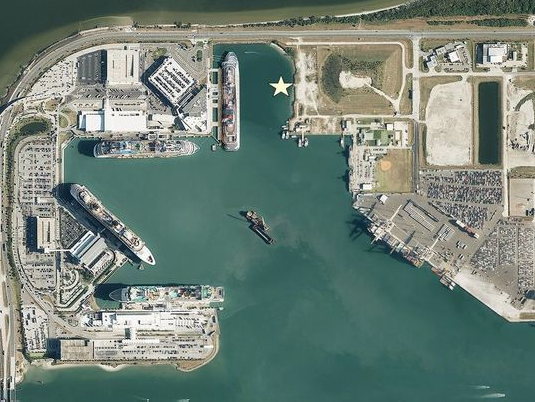 Port Canaveral will be spending nearly $18 million on the first phase of a cargo berth project that will help provide facilities for the commercial space industry. That will include areas for the recovery and reuse of rockets. This project is part of $78.96 million in proposed projects related to a "spaceport" component of Port Canaveral's 30-year master plan that port commissioners unanimously approved last week. 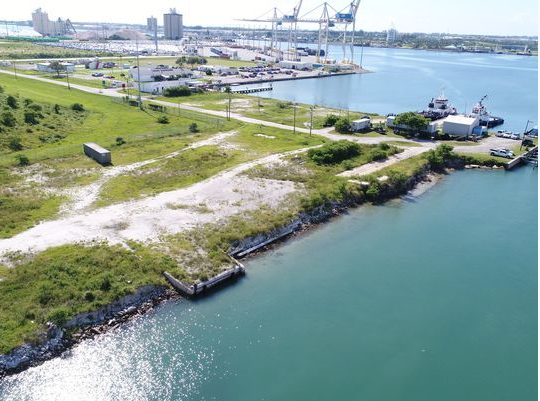 At the same meeting, port commissioners unanimously approved a staff recommendation to award a $17.92 million contract to Orion Marine Construction Inc. of Tampa for improvements to North Cargo Berth 8. Orion was the low bidder from among 12 contractors seeking the project. Port officials say North Cargo Berth 8 could be used by commercial space companies like SpaceX and Blue Origin to support their operations. The berth also is designed as a "heavy lift" operation that can support other types of cargo movements. $43.26 million in projects at North Cargo Berth 8. $24.50 million in projects at North Cargo Berth 7. $11.20 million to create work boat lay berth areas for spaceport operations. Luis Ajamil, chief executive officer of Miami-based Bermello Ajamil & Partners, the consulting firm that prepared the master plan for the port, stressed the importance of the spaceport area in his presentation to port commissioners last week. 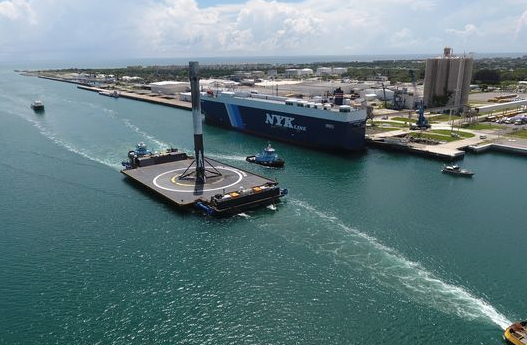 utilizing water landings of their rockets makes the port a critical component — as important as the launch pads at Kennedy Space Center and Cape Canaveral Air Force Station. Thus, it is imperative that the port have capability to support the needs of this strategic industry which is so vital to Florida and the nation. 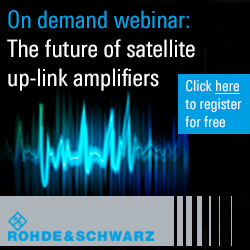 This industry, still in its nascent years, has potential needs which are yet to be fully determined." Ajamil said the master plan "has built-in flexibility, which includes a dedicated area for spaceport operations to transfer rockets and equipment to nearby commercial space facilities, as well as provide berth space for marine vessels transporting space mission components. The plan provides for additional phases to accommodate growth needs of the industry, and represents the first East Coast seaport to have a spaceport component." Ajamil said the flexibility includes the ability to expand the spaceport operations into other areas of the port, if required. "The future is still incredibly bright" for this operation, Ajamil told port commissioners. "That industry is going to evolve the way that they recover vessels, the way that they bring rockets, the way that they bring their goods and materiel into the area. But it is clearly the most strategic piece of business that you will have, in terms of serving not only Central Florida, Florida, but the United States, in general." While the Orion contract is moving forward, port commissioners would have to separately approve the other spaceport-related projects in the master plan before they could proceed. Bill Crowe, Port Canaveral's senior director of facilities, construction and engineering, said port officials are "very enthusiastic about the North Cargo Berth 8 project. It's a very exciting project. The great thing about this project is that it really is a multiuse berth" that can be used for all types of cargo — from lumber to automobiles. "It's really positive news, on a great piece of infrastructure that we need here," Canaveral Port Authority Chairman Wayne Justice said. Crowe said the berth will be able to handle loads of up to 2,000 pounds per square foot, compared with the 1,200 pounds per square foot for the port's current container yards. Crowe said that will allow the berth to be used for rockets and other heavy cargo. The Orion Marine contract includes construction of the bulkhead, seawall and relieving platform, as well as related dredging work. Construction is expected to begin in March, with completion of the project targeted for mid-2019. Port Canaveral Chief Executive Officer John Murray said the $17.92 million project will be partially funded by $8.58 million in Florida Department of Transportation grants, through the Florida Seaport Transportation and Economic Development Program. Other components of North Cargo Pier 8 project will be awarded later through other bid solicitations. One such component is a pier extension to the south of the site, adding 100 feet to the 750-foot pier, to help accommodate larger cargo ships. Lighting, pavement work and other modifications to the area also will be awarded in a future bidding process, Crowe said. Murray said the port is "experiencing the highest demand for bulkhead space" in its history. Crowe said the North Cargo Berth 8 area is "one of those few areas that is still undeveloped" at the port. Orion's $17.92 million bid was significantly below the bids submitted by the other 11 companies seeking the project. Those companies' bids ranged from $19.57 million to $26.99 million.